More waves?!? Why sure!!! 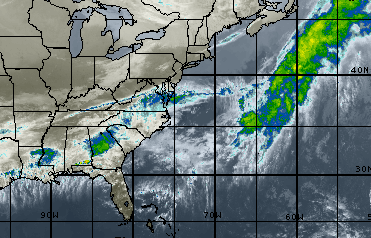 Loads of Tropical activity going on! Which is what we like and what we yearn for all season long! As hot as it has been this summer we knew the Tropics would fire off at some point and now the time has come! This will be strike mission mode, and if you want to buddy up for some storm chasing this might be the time! Storms to the left, storms to the right oh my! Things can and will change over the course of the next 48 hours but we’ll keep you posted on any progress and what impacts any of them have on the First Coast! Tropical Depression #8 is fading away up the coast off of Hatteras, but could be worth the mission if you can find a way to post up until the next storm! Waves up north go off! If you’ve never experienced storm chasing up to Hatteras and beyond now could be the time! Especially before it get too chilly! But on the home front we are now monitoring TROPICAL STORM HERMINE as it looks to mow across our path from the backdoor and create a lot of rain and wind. There will also be waves in the Gulf so take your pick here, but thee will be waves at home, it’s just going to be the one hit wonder swells. Tropical Storm Hermine was located near latitude 23.8 North, longitude 86.6 West. The depression is moving toward the west at 7 mph. A turn toward the north-northwest is expected tonight, followed by a turn toward the north-northeast on Wednesday. On the forecast track, the center of the depression will continue to move slowly away from western Cuba, and move into the eastern Gulf of Mexico over the next 48 hours. Data from a NOAA reconnaissance aircraft indicate that the maximum sustained winds are near 35 mph with higher gusts. Some strengthening is forecast during the next 48 hours, and the depression is expected to become a tropical storm today. Total rainfall amounts of 5 to 10 inches are possible over much of the Florida peninsula through Friday morning, with isolated maximum amounts of 15 inches possible. This rainfall may cause flooding and flash flooding. We will monitor this one closely folks, as it could pick up a head of steam and it will cause some weather havoc over the next 48 hours for the First Coast. It isn’t a Hurricane but it can still bring power outages, debris, and some flooding in certain areas and it is good to be prepared. On to the good news! We’ll have some waves! At present it looks to be changing hourly but the peak swells should fill in Wednesday morning and hold in the dropping range through Thursday, then we’ll get round two once the front moves over Friday with some favorable winds! Waist to chest high with some overhead sets at times, at the right place and right time you should score some fun surf! Things can and will change, and if you decide to road trip it you’ve got options! We’ll be back online in 24 hours as things progress so keep your eyes on the radars!